Home Gossip Tennis Legend Chris Evert Selling $5 Million Boca Raton Estate! 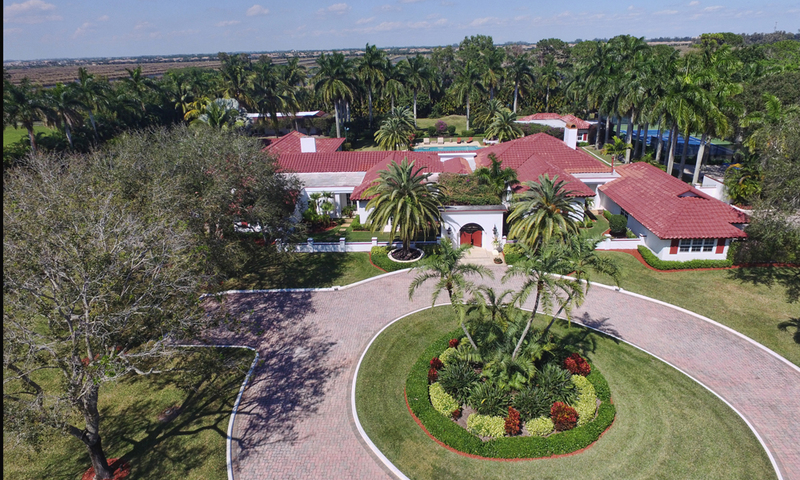 Tennis Legend Chris Evert Selling $5 Million Boca Raton Estate! For five million dollars and a handful of neon balls, anyone could live like a true-to-life tennis star. South Florida racket icon and TV analyst Chris Evert has just listed her sprawling Boca Raton house for sale, according to real estate records. She wants $4.99 million for the 12,296-square-foot crib on five acres of land in the fancy Horseshow Acres that includes, of course, a regulation-sized, lit tennis court. It’s not covered with Evert’s favorite clay or even Wimbledon turf, but it’s a real tennis court noneless. Also included: a nine-and-a-half car garage, a six-bedroom main house with custom woodwork throughout, a private par-3 golf course, two guest houses, a horse barn, horse trail and dirt bike track.